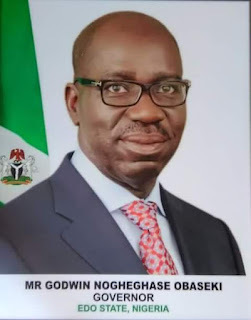 The Governor of Edo State, Mr Godwin Obaseki, has deployed the students of College of Agriculture, Iguoriakhi, to five world class agricultural institutions in the state for internship; Okomu Oil Plc, Presco Plc., Nigerian Institute for Oil Palm Research (NIFOR), Rubber Research Institute of Nigeria (RRIN), and the Leventis Farm, in the state government’s effort to equip the students with technical knowledge and revamp the institute. According to Obaseki, “The students of College of Agriculture, Iguoriakhi have been distributed to five reputed agricultural institutions in the state, where they will receive practical training in their chosen field of study and will be paid N20,000 monthly for three months. The consultant to Edo State Government on the restructuring of the institute, and former Vice Chancellor of the Federal University of Agriculture, Abeokuta, Professor Oluwafemi Balogun, explained that “the internship is to keep the students engaged and offer them better practical training outside the school. The internship will last three months but there is an appeal to the governor to extend the period of the internship for the students for one to two months while the process of the restructuring is being completed. "All the students have been contacted concerning the arrangement for the internship. The College of Agricultural Technology, Agenebode which was established by law in 2015 is also part of the restructuring process. "The focus of the school was lost and there was a level of mismanagement at the institution. The school had only 21 students and the staff population far outweighed the student population. "It was on this basis that the governor ordered for the school to be closed for restructuring. The same thing that was done for students of the Iguoriakhi college will also be done for the students of the Agenebode College. They will be taken to an agriculture institute for their internship while the restructuring is ongoing. "The restructuring is to eliminate the duplication of functions. The five programmes and allied courses which were offered in Iguoriakhi, which was established in 1992, were out-dated, and non-compliant with the rules of the National Board for Technical Education (NBTE), which had discredited the programmes, all these challenges will be addressed by the revamp of the institution which is moving at a fast pace.